As I am seriously challenged with this kind of computer work etc. 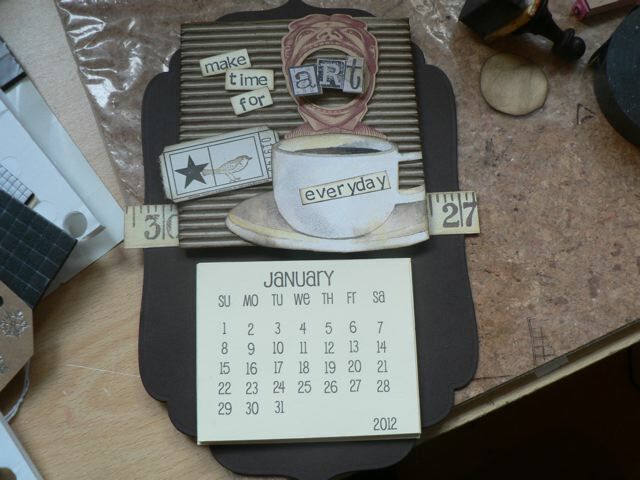 I need to know how I can get the month onto the bottom of the sheet so that I can stamp as you have done with swirls. 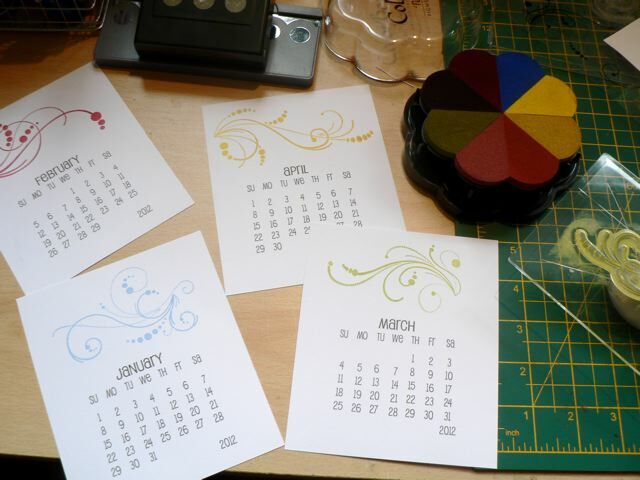 When I print the template out, I get 4 months with no room above each for stamping. Do you intend that I cut out the month and paste it onto the sheet with the swirls stamped at the top? When I look at your samples, I don’t see any evidence of pasting, particularly on the brown sample – looks like printing and stamping all on the same piece of board? What I usually do is double-click the PDF – that opens it in something called PREVIEW. I can them draw a marquee around the bit that I want and drag it into a program I use called Appleworks. But assuming you are on a PC, you need to open in Photoshop Elements (or some similar program, now sure what you might have) then open a new file – lets say you want to print these two to a page on an A4 sheet, so open an A4 sized file. Make it 300 dpi. Drag a selection marquee around the month and COPY > PASTE into the blank file. 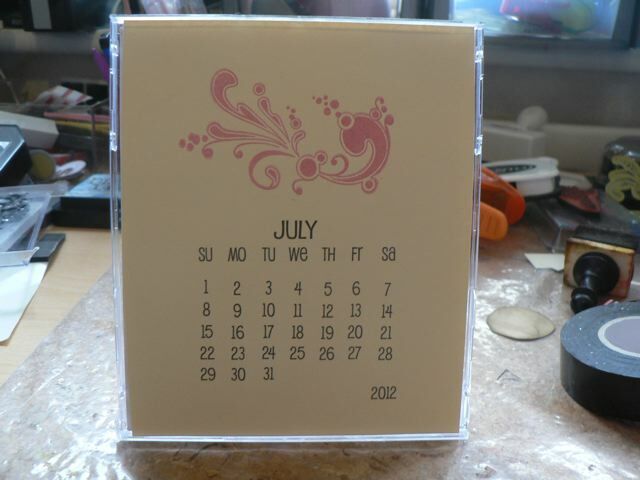 You can then scoot the block to wherever you want it – to print two for a CD style calendar you will need to rotate the page so you are printing 2 side by side and space them out. Bless you! As I said, I’m SERIOUSLY CHALLENGED with this lot! Love your faux letterpress versions – now that I can do…..lol! !